The home of premium international meat news and information. Is this email not displaying correctly? The European Commission has been accused this week of not listening to warnings from Russia over the potential threat of African swine fever and of refusing to accept a regional approach to allowing exports. Speaking at a seminar during VIV Europe in Utrecht, Netherlands, Aleksey Alekseenko from the Russian veterinary organisation Rosselkhoznador said Russia had warned the European Commission of the danger of the spread of the disease through the wild boar population before the outbreaks occurred in Poland and Lithuania. However, he said that Europe had need taken heed of the warnings and put in place measures to prevent the possible spread. He said that it is in the wild boar population in Russia and now it is in the wild boar population in Poland. Mr Alekseenko said that Russia would like to be able to import pig meat from other countries within the EU that are not affected by African swine fever, such as the Netherlands, Denmark, Italy and Spain and even Germany, but the actions of the European Commission had not allowed it. He said that part of the problem is that the European Commission does not recognise the Customs Union – the agreement between Russia, Kazakhstan and Belarus – which allows them freely to export and trade pig meat. This is why there is a discrepancy between the Customs Union trade and the European Commission over the way the two sides view trade in pig meat and pigs. And he added that the EU had not taken sufficient precautionary measures following the outbreaks of ASF to isolate the disease, which is why Russia is refusing to take pig meat from the whole of the EU although it would take it from individual countries if the European Commission recognised real regionalisation. 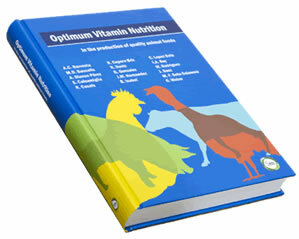 The vital importance of vitamins for the health of humans and animals was established in the early and mid-20th century, with the main target being to identify the minimum amounts required to avoid deficiency symptoms. Developed by the American Meat Institute (AMI) to improve the accuracy of reporting on the issue of antibiotic use in livestock and poultry production, these Top Ten tips help to clarify some of the myths and misconceptions for everyone involved in these sectors. Feeding chromium to fattening pigs had positive effects on growth, carcase characteristics and pork quality, and had benefits for lipid metabolism, according to a new Chinese work. Farmers who raise and sell their meat locally have more control over their marketing decisions, and receive higher prices for their product than those selling to buyers outside their regions, according to the USDA. To Marinate or Not to Marinate? Using less tender cuts of meat for grilling by marinating stretches the food dollar according to Christine Venema from Michigan State University Extension. UK - Top 10 UK food manufacturer, Moy Park further improved its environmental performance in 2013 reducing water and energy usage and cutting Co2 emissions by 3,600 tonnes which is comparable to taking 1,000 cars off the road for a year. NETHERLANDS - At VIV Europe 2014, the SmartWeigher Grading and Distribution Line from Marel Stork Poultry Processing won two awards: in the sector processing and the overall VIV innovation award. US – Trade Show News Network (TSNN) announced that the International Production & Processing Expo (IPPE) is among the top 25 fastest-growing U.S. trade shows in terms of net square footage. Is PEDV Really Impacting Slaughter Numbers?